Don’t forget to move your clocks forward one hour this Saturday night (March 9) before crawling into bed. 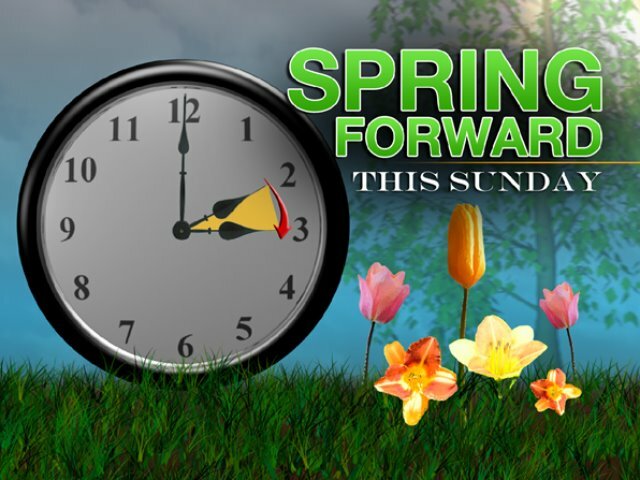 The official time change occurs at 2:00 am on Sunday, March 10, 2013 but we assume you’ll want to arrive at church at 10:30 am, bright-eyed and bushy-tailed, so you’ll be sure to have an early night. Click HERE to watch a video about the history of Daylight Saving Time.